A not so secret fact about myself is that I am a sucker for emotional narratives. It feels like a good book when my heart is penetrated by emotion and I am left paralysed by long lasting thoughts. Anyone else feel this? So I thought I would write a post today about the books that did just that and more… evidently I love a bit of sadness and romance. Lucky for me 9 out of 10 of these books are films (which also BROKE ME and my poor little heart). Come on After You I am here and waiting for a movie version. I need visual closure as well. Each one of these books absolutely ripped my heart out and made me cry pools and pools of tears. I probably could have filled a swimming pool of tear after these books. Have you read these wonderful books or seen the films? I live by the fact that you have to read the book first but it is okay if you have not…lets chat. Can you recommend any books for me based on these books? STOP WHAT YOU ARE DOING AND FANGIRL WITH ME. Today I received a review copy of Still Me by Jojo Moyes. People who have been reading my blog for a while now will know I am obsessed with the Me Before You books!! The book does not officially come out till the end of January 2018! If you like these pics, go follow mine ‘bookstagram’, click here. From the sensational #1 New York Times bestselling author Jojo Moyes, a new book featuring her iconic heroine of Me Before You and After You, Louisa Clark. I am so freaking excited I could scream and cry continuously. Thank you so so much to Penguin (in particular Michael Joseph) for sending me this!! They also sent me this super cute bookmark and tote bag, which I cannot wait to use. AHHHHHHH the bees. Have you read Me Before You or After You? Today I received Still Me by JoJo Moyes to read as PREVIEW copy! I was shaking with happiness and anticipation. Imagine Louisa’s face when she pulls out the black and yellow tights…that was me when the first chapter was downloading. As you will all know by now, I AM OBSESSED WITH Jojo Moyes, especially her Me Before You books featuring my all time favourite protagonist Louisa Clark. Ahhh what a wonderful character she is. I instantly stopped my day and devoured the first chapter, forever eager for more knowledge of Louisa and her travels. I can already tell that this book is going to give me what I want (and need!) Book two offered me the initial closure after the heart-shattering events in book one but I still long for more. Louisa is off to America for this next story and I am SOOO excited to see what adventures she goes on this year and I hope more of her quirky and awesome personality shines through in this one. What do you think of the cover? I personally LOVE IT. I love the ‘black and yellow stripes’ look and the little bumblebee. I am also really excited about more Louisa and Nathan, as I really liked their relationship. Honestly, in the second book I was a little disappointed in Louisa – I completely understood her loss and felt compassionate but I just missed happy go lucky and charming Louisa. I missed her go-get-it attitude at the end of book one, I just wanted to jump into the book and tell her to live the life Will wanted her to. This chapter is already so telling – she has upped her life and moved to America, she is exploring the unknown and pushing herself. I LOVE IT and wish Jojo Moyes could release a book a year about Louisa because I feel like she is my friend. I also hope we hear more about Lilly and Sam in this one!!!! You will not be disappointed… Louisa is back and is as charming, wonderful, kind, strong, quirky and curious as ever. Lets chat all things Me Before You, After You and Still Me — Have you read the books or watched the film? What is your favourite quote? What is your favourite part? If you didn’t enjoy them, why? I’ve decided to pick up a book to read today that isn’t a course book…yay! Recently, I have been reading a lot of intense pieces of literature that are critically acclaimed within the English Canon for my degree, so it is always lovely to just wind back with an easy read book. 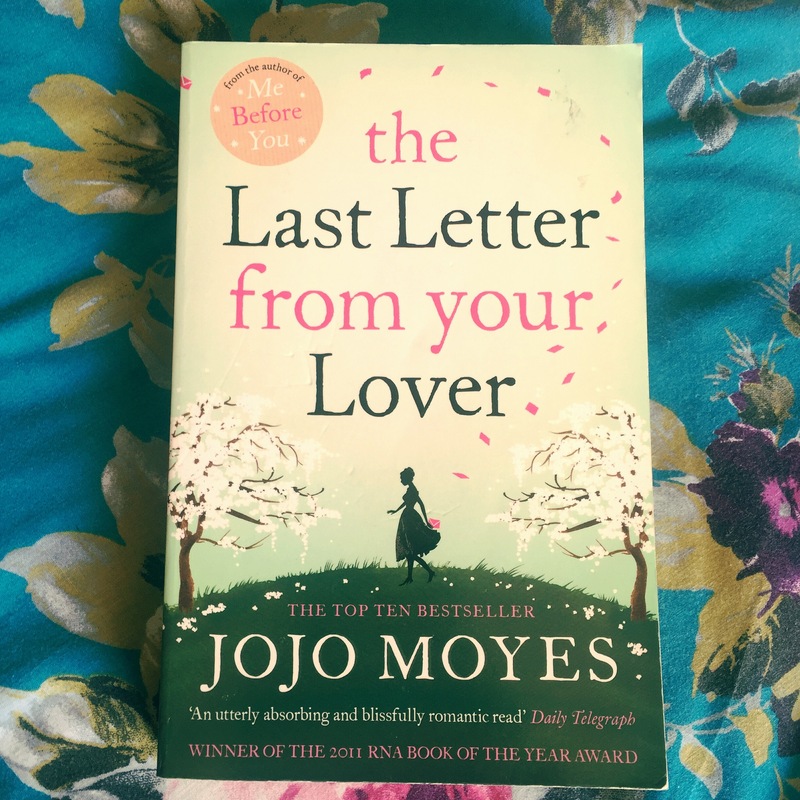 For those of you that have followed my blog for a while will know how much I ADORED ‘Me Before You’, so I thought I would pick up another one of JoJo Moyes books. Or any reccomendations for me. I have seen Me Before You. So, it comes out properly on Friday (the 3rd of June) but I got to see it. For some reason, I was looking at the Bristol cinemas and they just did not have the times up for it to book. I was devastated- I actually cried a little bit and then frantically searched the internet for other possibilities. I was thinking whyyy…whyyy…whyyy can I not watch my favourite book be beautiful transformed into a film. 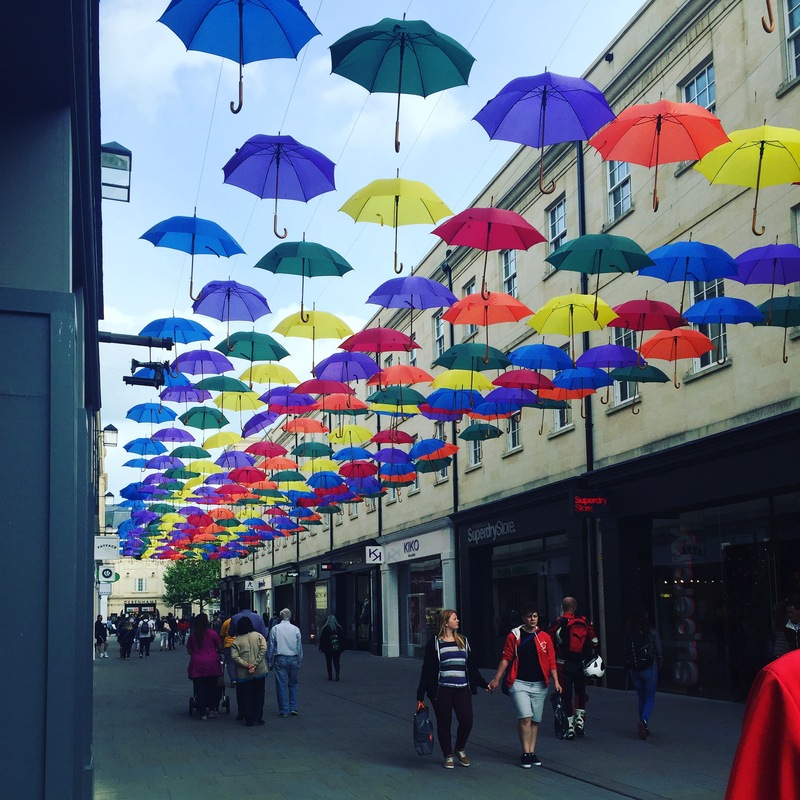 Why are you doing this to me, Bristol? But, I found a solution. Oh, yeah I did. 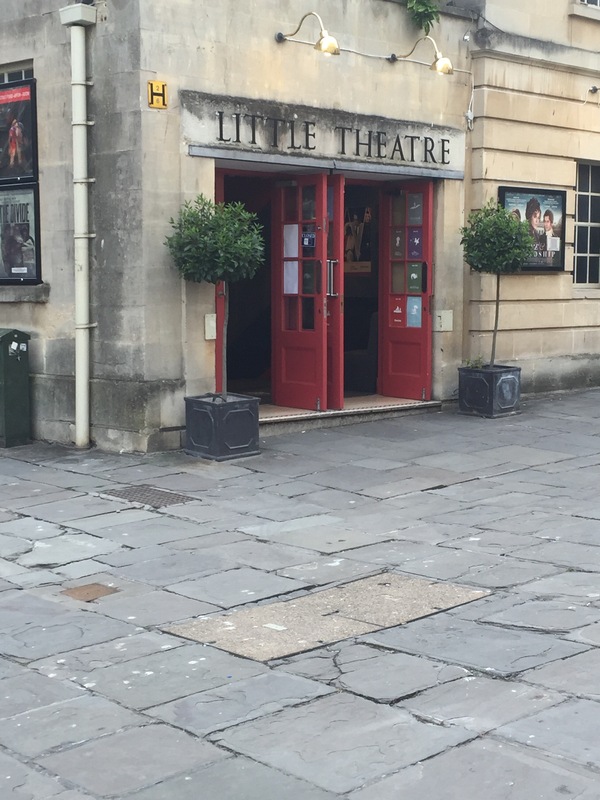 A little cinema in Bath (not far from Bristol) was showing ‘Me Before You’ for students only – for free!!!! So, not only did I get to see the film, but I got to see it for FREE and the bus for only 4.50. 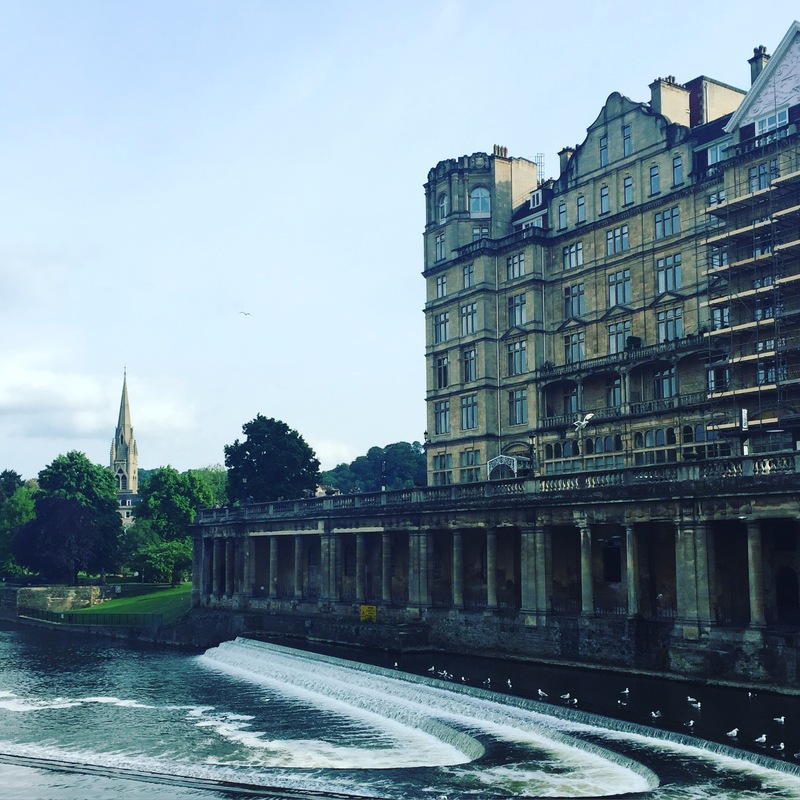 I also got to spend the day in Bath, which was lovely. Check out the following two pictures I took of the city. It is such a quaint place. How cute are these umbrellas? I want some to hang from my bedroom ceiling- they just instantly make me think so summer. 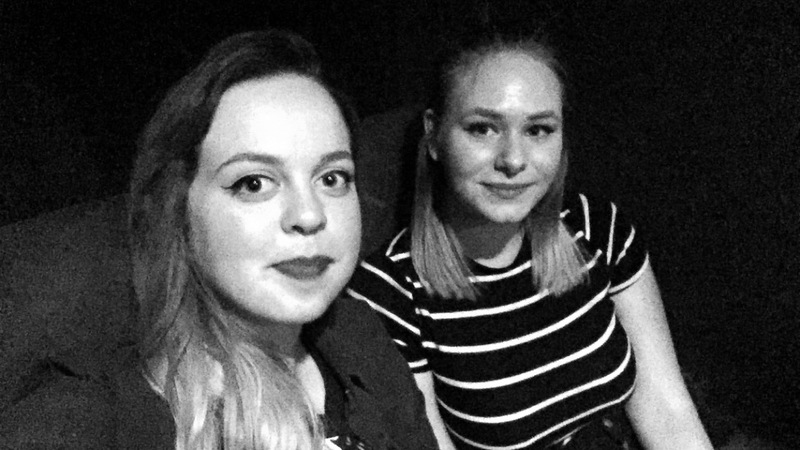 We watched it in this cute little cinema (below) and we were soo lucky with the seating because my flatmate and I got the last two seats!! Here we are waiting for the film to start…AHHHH!!! My heart was beating fast in anticipation, I had high expectations of the film. First things first, the film broke me. I was prepared, I was ready but my heart was not. In the adverts, I whispered to my flatmate ‘I am not emotionally ready, I cannot do this’. 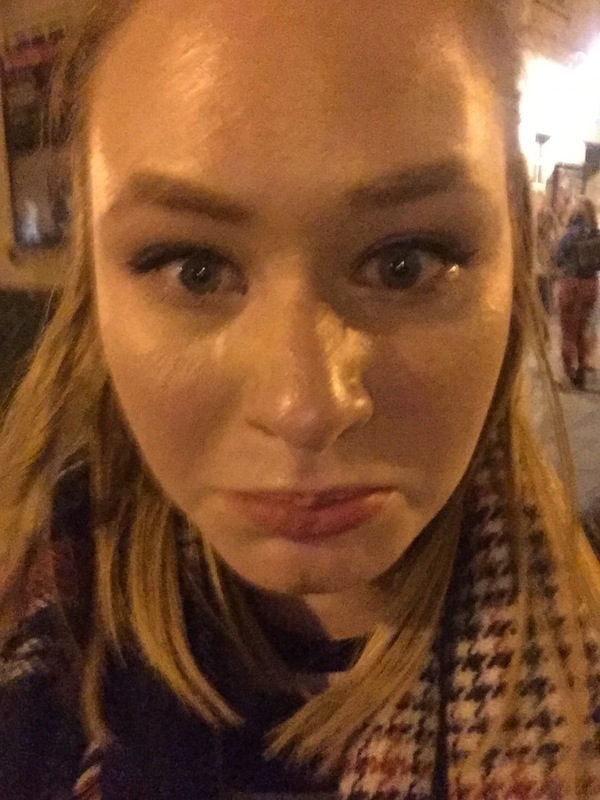 She hasn’t read the book – but came to Bath with me anyway to watch the film and for the day out, so she looked at me like I was absolutely crazy for crying before the film even started. I thought the cast was perfect, they made the adaptation so special and heartfelt. Lou was perfect. Emilia Clarke was amazing as her, she was hilarious and cute and Sam Claffin was incredible as Will. They both captivated my heart and made me feel the story in my bones. I know that this story will stay with me for ages, if not forever. Lou is still my spirit animal. Jojo Moyes made sure that the film stayed true to the book and that is something that is really really important to me. Maybe I am naive in thinking that it is hard to stay true to the book but it shouldn’t be. Don’t get me wrong there were slight changes- for example, Mr. Traynor wasn’t having an affair. Well, I guess it was implied and I got the reference because I had read the book but it was subtle so it could have been easily missed. I am okay with slight changes like that and am soo happy that there wasn’t anything major. As I mentioned in a previous blog post, I have heard a lot of negative comments regarding the film- shaming it for misrepresenting disability. Even now after seeing it, I can positively say ‘IT DOESN’T… IT REALLY DOESN’T’. It is a raw, realistic and relatable story and oh boy did it tug hard at my heart strings. In conclusion, go and see the film on Friday when it comes out but PLEASE if you enjoy reading – make sure you read the book first but otherwise it will ruin it. It is also quite a short, easy reading book, so you would be able to easily devour it. If you want to join, go to the Goodreads group by clicking here. Louisa Clark from Me Before You by Jojo Moyes. Firstly go and check out my review for this book. Here. Louisa, Louisa, Louisa. My spirit animal. I hope I come across like her;she is quirky, fun and kind. It has been a while since I have actually picked up a book and finished it in one sitting and fallen madly in love with the protagonist. I connected so much with this book and am counting down the days till I get to see it in the cinema. 2. Hermione Granger- Harry Potter- My childhood best friend. The girl who taught me to be myself. She is amazing…end of. Like her, I love to study and lose myself in books. 3. For anyone that actually knows me, would have expected this one to be at the top because of how obsessed I was as a teenager. Bella Swan – Twilight Sage. She taught me to accept my introvert ways and that it was okay not to fit in. I like to think I am loyal like Bella and protective like her. I am also super awkward like her, so yay me. I always found her to be sarcastic and I can totally relate to that. 4. Cath Avery – Fangirl. I am just a total fangirl, about a lot of stuff in my life. I cannot just like something like a normal person, I become obsessed. She is also sensitive and kind which I could relate to. Hahaha, I am going to take it as a compliment. Sometimes in my life, I adopt a f*** it attitude and act like I don’t care. I am also a very to the point and honest person when it comes to my friends and family, so if I am up front with you, it is because I care. I started this book last night and could absolutely not put it down, I was drawn in to the lives of Lou and Will. I had invested emotions and I was irrevocable in love with the book, that I devoured every single utterance and I finished it this morning. Ahhh! This book was so beautiful and so powerful. As I write this, I have an avalanche of tears bombarding my face. Why do some books have such power over a person? I always so fascinated by it, I am always at the mercy of a captivating book and this was no different. Firstly I need to express my admiration and love for Louisa, the main protagonist of the novel. She is amazing, quirky and extremely relatable. (I have a sudden urge to own a pair of bumblebee tights.) At many point throughout reading it, I would stop and think of how much I loved her character and how I could see myself in her. As for Will, he broke my heart. I just wanted to jump inside the book and hug him. I felt the raw desperation that surrounded Will, the absence of his previous life and the suffocation of the wheelchair. He is a really powerful character that I feel will stay with me for a very long time, words cannot express why he has impacted me so much. Perhaps, his ability to change my view on going to Switzerland to end your life. Aforementioned, the characters and the books has had a massive impact on my life and I cannot wait to get my hands on the second books. I need more Lou in my life, I need to know if she went to University, I need to know she is okay. Another wonderful thing about this book is that fact that although it is sad (not going to lie) it is also an extremely uplifting and rewarding read. The book is also being made into a film!!! (Excuse me while I die of excitement) I can already tell I am going to adore the film while sobbing. I am soo happy with the choices of actors, Sam Claflin is extraordinary; one of my favourite actors. He was also amazing in Love Rosie, so I have high hopes!!! I must also admit, I have watched the trailer about 100 times since finishes the book. Do not be scared to read it, it is incredible. Buy it here !! It is super cheap as well.